Breakfast has always been the most important meal of the day. 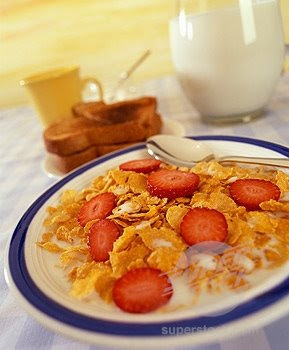 Skipping breakfast is bad for your health and you are more likely to have an unhealthy lifestyle. A good breakfast provides the nutrients that you need to start your day off right. Weather you work at home, on the farm, at the office, at school, or on the road it is not a good idea to skip breakfast. Eating breakfast every morning increases your ability, to focus on tasks at school and at work. A good breakfast gives you the energy you need to get through your day. A healthy breakfast might be something simple like a hard boiled egg, toasts, and a bowl of whole grain cereal with low fat milk. Stay away from the sugary cereals, pastries and white bread because they are digested quickly. Breakfast has always been the most important meal of the day but should not be the only meal for the day.